Public water agencies can – and will – only do so much. The rest is up to us. That’s why Advanced Onsite Water (AOW) is a specialty engineering firm committed to providing decentralized, onsite wastewater treatment and recycling solutions that allow California property and business owners to maximize their water preservation efforts. These small-scale, distributed water systems have a massive impact on overall conservation percentages. AOW is different from the typical civil engineering firm. 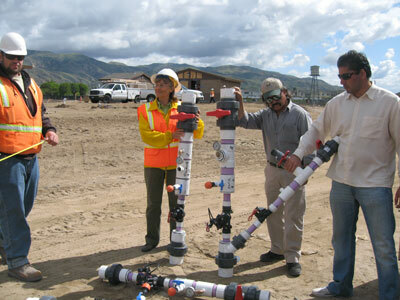 Instead of focusing primarily on site and subdivision development, AOW has a unique level of expertise that consist of advanced water technologies and regulatory competency. In other words, we’ll identify and develop the water system that best suits your needs then work efficiently with outside agencies to complete your project on budget and on time. AOW’s happy clients range from commercial property owners, to multi-family residential properties, to schools, parks and camps. We help them to save money, reduce pollution, conserve water, and proudly assist in preserving our fragile ecosystems. Check out our Projects portfolio to learn more about our exceptional work and how we can help you! 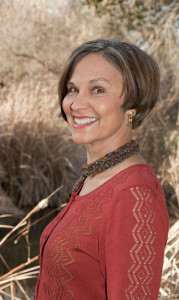 Barbara Bradley, PE founded Advanced Onsite Water in 2003 out of a passion for water conservation. She is an internationally recognized expert in decentralized wastewater systems. Growing up in an impoverished area of Saudi Arabia, Barbara recognized the scarcity and value of water at a young age. As such, she went on to complete her BS in Civil Engineering and MS in Environmental Engineering at UC Berkeley with an emphasis in water treatment and conservation systems. Prior to founding AOW, Barbara worked with notable groups like the Arrowhead Springs Development, the Border Environmental Cooperation Commission, CH2M Hill, and the City of Merced. Her talent and innovative approach to water conservation inspired progressive cultural shifts in these organizations. Barbara’s technical seniority and seasoned project management skills ensure the high quality engineering practices and results. She’s dedicated to using her talent to help others, and has completed several charity projects for disadvantaged communities that have substantially improved sanitation for these populations.